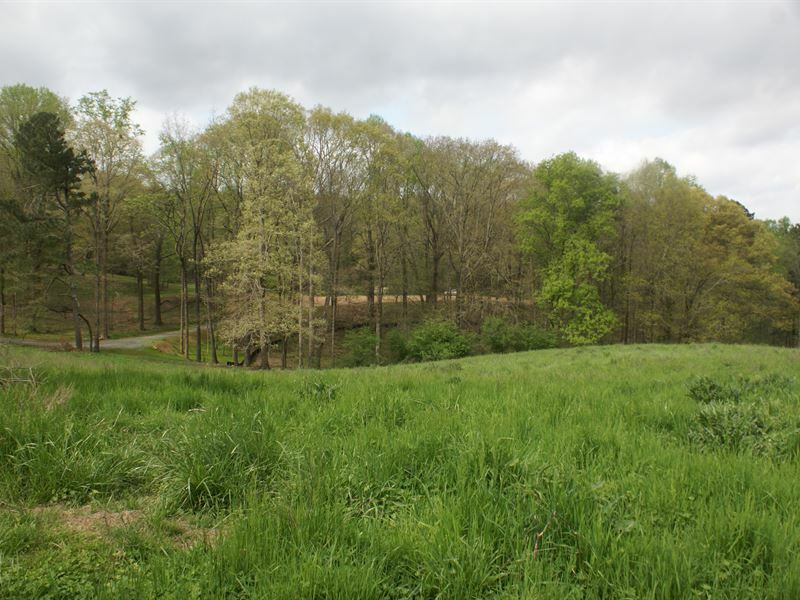 This is 18.25 acres of beautiful property off of highly sought after Fate Conn Rd, 1.5 miles from the Hickory Log Creek reservoir. This property has it all. Investors can sleep soundly knowing area is one of Canton's most prestigious and growing areas. Developers and Builders have 18.25 of nothing but beautiful views to create a truly special development. Erosion tests completed and approved (perc). Driveway completed and permitted (entire driveway was created 20' wide to allow for passing vehicles, currently has 5 tandem loads of 3 & 4's and topped with 3 loads of C&R to create a construction base. 24-inch piping used for runoff in the bend of driveway. Water meter has been approved and set. Feature lot has been graded and packed (ready to go for a sprawling ranch home or any basement home). Estate Buyers can have the privacy they have only dreamed of while being in the heart of wonderful Canton. Property also has excellent horse farm potential with established pastures, creek, wooded areas, and several sites for a barn and arena. The pond was originally constructed in the 1950's and enjoys some regulations that have been grandfathered in with the County. A local aquatic management company has already inspected and advised raising the dam and piping 5 additional feet to approximately quadruple the current surface size of the pond. Estimates of 8-10k have been quoted to perform this construction by an experienced lake builder/contractor. The feature homesite will capture a breathtaking view of your own beautiful land and tranquil pond.